﻿﻿I was 15 and a freshman in high school when Amtrak was created. Most people my age or older know that Amtrak was created by the federal government to salvage some of the remaining passenger trains that had been operated by private railroad companies since the beginning of railroads in the 19th century. Other than many famous and not so famous trains making their last runs on 30 April 1971, the 1 May 1971 launch of Amtrak brought little visible change right away. Railroad employees continued to operate the trains, provide the service on board, and sell the tickets. Over time that would change as ultimately all of the train & engine crews (the engineers and conductors), on-board service crews, and station and reservations personnel would become Amtrak employees. Perhaps most obvious all, the trains themselves looked no different because the passenger equipment acquired from the railroads (part of the price of joining Amtrak) wore the same company livery, and the locomotives were railroad-owned. This, too, would change over the next few years. Amtrak gradually had the cars repainted with its color scheme, but for a while the train consists were quite colorful (known as Amtrak's "rainbow era") as the equipment of different railroads was thrown together and operated nationwide. Amtrak also would eventually order its own locomotives to replace those owned by the railroads. You will still occasionally see a freight locomotive pulling a passenger train in the event of a shortage of available Amtrak locomotives. To say the last 40 years have been challenging for Amtrak, would be to do an injustice to the word "challenging". Created with little thought to its long-term funding and survival, Amtrak has been through so many threats to its existence that if it were a cat it would have used up its nine lives decades ago. But it has survived, sometimes in spite of its foes, and sometimes in spite of itself. ﻿Rather than go through a laundry list of what Amtrak has been successful and failed at, I'm going to concentrate on what I think its biggest accomplishment has been, and what I think its biggest failure has been. My bona fides - besides loving passenger trains - is that I worked for Amtrak briefly as a union employee in Seattle in 1987, then spent 5 1/2 years (1990-1995) in sales and marketing training, and once more as a consultant in a large project (1998-2000). In my opinion Amtrak has been at its most effective by creating a sales distribution system that never existed before, and relentlessly expanding its reach as culture, technology, and its limited resources have allowed. It wasn't that you couldn't book multiple railroads for a trip in the pre-Amtrak era; it was just difficult and time-consuming. Once Amtrak became the sole operator of intercity passenger rail, it made the process much easier. Replacing ARTS was ARROW (probably in the early 80s), which remains the system that Amtrak uses now, though with GUIs (graphical user interfaces) specific to the station and reservation environments developed in the late 90s to relieve employees from memorizing cryptic commands. As part of its mission to increase sales by travel agents, Amtrak was the first railroad to join ARC (Airlines Reporting Corporation), the airline ticket clearinghouse used by airlines and travel agents, and to make it possible for travel agents to use their airline computerized reservations systems (CRS) to book and ticket Amtrak. Early in its existence, Amtrak established a 10% travel agency commission on all ticket sales. This has since been modified to 8% for long-distance trains only, which are used nearly exclusively by leisure travelers. Short-haul corridors nationwide are now largely sold through Amtrak's website, and the fast high-frequency service in the Northeast heavily used by business travelers is mostly booked by large transaction-fee-based corporate travel agencies. 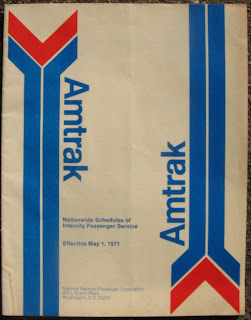 I was working for a large travel agency in Los Angeles in 1983 when the first airline CRS was brought online for reserving and ticketing Amtrak. That system was TWA's PARS system. Soon after that the other three systems - Sabre, Apollo, and System One - joined the party. With the advent of the world wide web, Amtrak launched an online presence that is now the source of over 50% of its bookings. Amtrak.com is an attractive, easy to use portal in which to seek information, and to reserve space and pay for tickets. The last piece of the puzzle that Amtrak is engaged in now is the project to bring electronic ticketing ("e-ticketing") to the system. Amtrak hopes to test a system later this year and then roll it out systemwide over an 18 month period. I hope they make their target, but this is a huge project and far more complex than it was for the airlines. Unlike with airports where there is a single control point for boarding, trains are open to board through numerous open doors, so ticket validation will usually have to take place on the train by a conductor using a hand-held device. In the meantime Amtrak has had for a number of years a system that functions similarly to e-ticketing for many journeys, which it calls "advance payment". For passengers beginning their trip at a staffed station, tickets do not need to be issued in advance, and can be printed on the day of departure at the ticket counter or an automated Quik-Trak kiosk in many stations. True e-ticketing will be a blessing when it arrives: it will save Amtrak the cost of processing paper tickets and be a real passenger convenience. I've spent a lot of time describing how Amtrak over the past forty years has made remarkable strides in improving how passenger rail transportation is sold in this country. Now here's the challenge that has eluded a solution for the past 40 years. Simply put, Amtrak has never been able to deliver a nationwide product that is reliably first-rate. No, this is the experience on the train itself, regardless of how fast it's going and whether it reaches its destination on time. I rode trains before Amtrak, and have ridden many more since Amtrak's inception to the present day. I've traveled in coach, in sleeping accommodations, and in premium daytime services including Acela Express. I don't like writing this, but in 2011 no more than in 1971, there is simply no reasonable assurance that the service one can expect on an American passenger train (or at the station) will be something sure to bring you back for more. In part, this is probably due to the fact that Amtrak employees are often working in a sub-standard physical plant either on the train or in the station, which understandably makes doing one's job difficult. But it's more than that. Even when the environment is adequate, one too often can encounter employees that are indifferent, rude, or downright hostile. My own, purely subjective seat of the pants guess is that about 20% of Amtrak's public-facing employees are exceptional. Any company would be lucky to have such people persevering under often difficult conditions to make the on-board or station-level experience as good as it possibly can be for customers. You'll find them on the trains, at the stations, and working behind the scenes. Were it not for employees like this, Amtrak would never have survived. Another 50% are pretty good. You might not find them at the Ritz-Carlton but they deliver reasonable service on a day-to-day basis. But another 20% are fair to poor. On a good day they might deliver the minimum you would expect - but no more than that, and not with a smile. And finally another 10% should be shown the door immediately, before they lead any more passengers to vow "I'll never take Amtrak again". When I was doing consulting work for Amtrak between 1998 and 2000 there was an ongoing program being rolled out called "Service Standards". At the conclusion, Amtrak produced an advertising campaign with the slogan that went something like this: "10,000 employees went to school and 10,000 concierges graduated". They backed this up with what they called a "Service Guarantee" in the event a passenger's experience was not commensurate with what was promised. I and the Amtrak employees I worked with chuckled about the ad campaign, because we were skeptical (for good reason) that anything would change. It didn't, and the Service Guarantee was quietly dropped. Can I pinpoint a reason for this lack of consistency? No. Those who would point to unions (Amtrak is unionized except for management) should keep in mind that Southwest is thoroughly unionized and delivers a consistently top-notch product in the domestic skies. Amtrak's labor relations are not particularly good so that certainly is part of the problem. Perhaps a little of the legacy of the awful service that some of the railroads gave in the late pre-Amtrak period has persisted. But some railroads, the Santa Fe being the best example, continued to pull out all of the stops on service right up until the very end of the railroad era of passenger trains on 30 April 1971. ﻿The politics of such a change are daunting and I don't see it happening. But even as Amtrak is enjoying the highest ridership in its history it still cannot reliably provide passengers with the kind of experience they should be able to expect. I wish that were different, and I sure hope it changes, yet it's hard to imagine considering the history and the current structure. 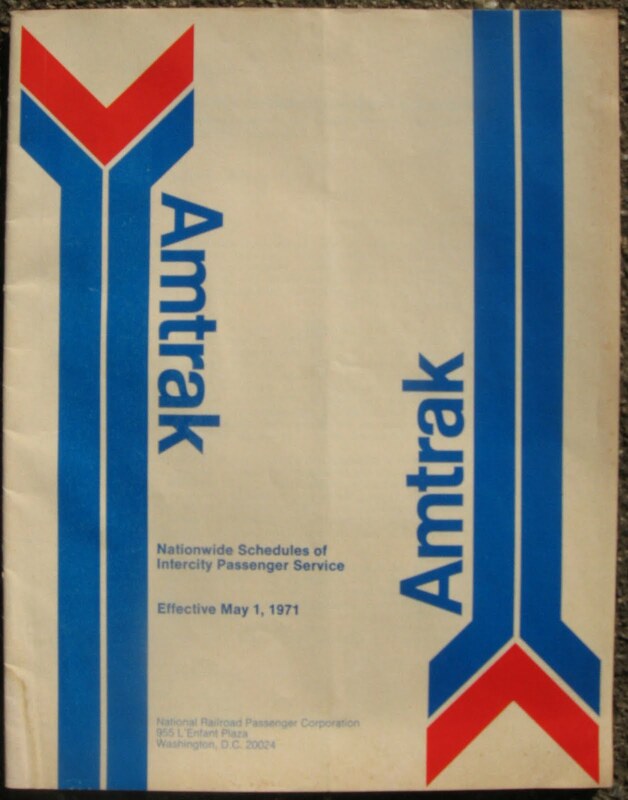 So 40 years have passed since Amtrak's start on 1 May 1971. Whatever anyone can say, it certainly has not been a dull ride, and I dare say it never will be. Here's to Amtrak and all of the good employees that have done their best over 40 years to preserve, improve and expand passenger railroading. Let's hope that in another 40 years - preferably far sooner - the United States has a passenger railroad that is faster, more extensive, and delivers an experience that leaves all riders wishing they never had to get off the train. I love traveling by train! As they say, its the journey not the destination that counts.